A home equity loan is simply when you take a second mortgage against your house. In other words, this is a credit granted to a person under the condition of using its house as collateral. Thus, if the debtor fails to reimburse the credit he has borrowed, the bank has the opportunity to seize and sell his home as a compensation. Millions of Canadians need to borrow a large sum of money to pay for a major expense, such as a specific home renovation project. This situation leads people to apply for home equity loans. Well, if this is your situation, you should know that thinking of a home equity loans is not particularly relevant if you want to borrow small amounts of money. Banks and other lenders will generally refuse to make small loans. Bank of America, for example, has a minimum home equity loan amount of $10,000 depending on the institution you choose. If you ask under this amount, your request will probably be denied. Home equity loans offers are in the range of $35,000 to $150,000 and more. How a home equity loan works? One of the most attractive things about home equity loan is that it allows you to borrow a large amount of money (almost easily) and secure it with the equity you have built upon your house. It works like a conventional credit. Its terms, duration and amount are therefore established. You can borrow a specific amount which comes with a fixed rate and term, This way, you can be sure that no bad surprises or hidden fees will await you. For example, your home value is $ 400 000 and you already have a mortgage on it. You owe to the amount of $300 000 on that mortgage. So, this means that you have $100 000 of equity left. That being said, even if the main goal here is to pay down your mortgage, sometimes you need this money to be used on other major projects that might be a bit expensive. In order to do that, you have to take a home equity loan against your property. Most of the equity loans are ten or twenty years long with a higher rate than a simple mortgage. The time required to repay the loan (called the amortization period). In case of non-repayment of the sum due, the lender is entitled to seize and sell the house that you have mortgaged. The main reason why the rate of home equity loans is a bit higher than a mortgage rate is that when you are unable to pay off what you owe, the bank that holds your first mortgage will have the prior right to seize your property, not the bank that holds your home equity loans. In other words, this second bank that holds your home equity loan will be more at risk. What are the main reasons people apply for home equity loan? There are several reasons that lead people to apply for a home equity loan such as a home reparation, an educational needs, a business failure, etc. Home improvement/restoration works: this is the more frequent reason people apply for a home equity loan, for example, the garage door replacement, The entry door reparation, kitchen improvement or bathroom improvement, etc. Car purchases: Whether it is for family accommodation or simply because of a mid-life crisis, purchasing a car is one of the main reason people use their home equity loan. Note that auto loan interest rates are often higher than mortgage rates, so people prefer to tap the equity in their homes to finance the car. Emergency expenses: Life can change radically from one day to the next. Sometimes, people have important medical expenses, or an unexpected job loss, or another uncontrolled situation that might involve a huge amount of money and that lead to tap their home equity loan. Debt consolidation: When you miss out payment, the spiral of debt may drag you down. This is the moment you start looking for an additional solution to your first mortgage. You may be able to obtain a home equity loan from your bank, or mortgage companies, or insurance companies, or trust corporations and loans company, Caisses Populaires like Desjardins, and finally from credit unions. When we think that home equity loans are a solution to unlock a large sum of money, the offer looks attractive. A closer look, however, reveals that Home equity loans can be tricky. You have to weigh the pros and cons and decide in which direction to go. It simplifies your financial life because you have access to an important amount of money. Interest rates are currently low because it is secured by your house so lenders assume fewer risks. Interest paid may be tax deductible. The rates are consistent depending on the terms of the loan you choose. Your home is imperiled: If you are not capable of paying off your debt, the lender has the right to take your house legally. Repayment of home equity loan last for years (10 to 20 years long). 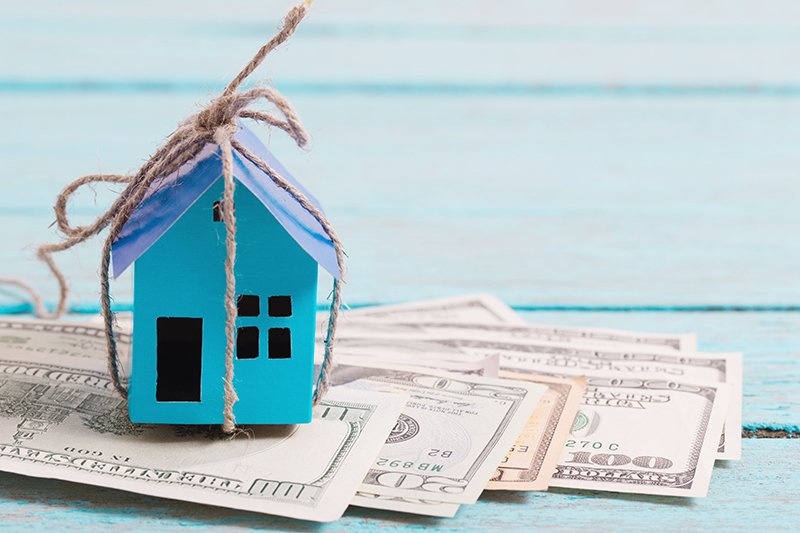 Before you apply for a home equity loans (and this also applies to any other type of loans and credits), make sure that you are ready to assume the responsibilities that come with it. First of all, check your credit score. If you have a good credit score, you are more qualify for the best rates. This also means that you are able to pay off your debts. Having more than 760 points on your credit score is an excellent situation. Between 700 and 759 is also a good situation. but under 699 points, you should consolidate your credit score before thinking about a home equity loans, it might be a little bit more difficult for you to pay off what you will borrow. The second thing is to check out your available equity. Verify if you have more than 85% or your home’s value. And finally, check out your current debts. The total you owe must be less than 45% of your monthly pre-tax income. If you present a positive profile at these three stages, you can definitely apply for a home equity loan. Otherwise, it is more reasonable to improve your financial situation before you commit to a new credit loan. Second step: Choose the best possible solution to meet your needs. Third step: Put in place your exit strategy by keeping your repayments up to date (no delays allowed). Even if home equity loan is a practical and accessible way to get access to a big amount of money, this implies a huge financial responsibility. You put your all house at stake which is a quite stressful situation when you think of it. So measuring the risks that you may incur is very important.